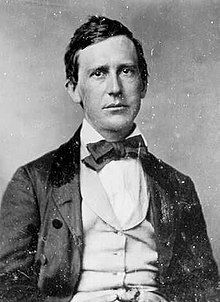 Stephen Collins Foster (July 4, 1826 – January 13, 1864), known as "the father of American music", was an American songwriter known primarily for his parlor and minstrel music. Foster wrote over 200 songs; among his best-known are "Oh! Susanna", "Hard Times Come Again No More", "Camptown Races", "Old Folks at Home" ("Swanee River"), "My Old Kentucky Home", "Jeanie with the Light Brown Hair", "Old Black Joe", and "Beautiful Dreamer". Many of his compositions remain popular more than 150 years after he wrote them. His compositions are thought to be autobiographical. He has been identified as "the most famous songwriter of the nineteenth century" and may be the most recognizable American composer in other countries. His compositions are sometimes referred to as "childhood songs" because they have been included in the music curriculum of early education. Most of his handwritten music manuscripts are lost, but copies printed by publishers of his day can be found in various collections. There are many biographers who have published works on the life of Stephen Collins Foster, but details can differ widely. In addition, Foster wrote very little biographical information himself. His brother Morrison Foster destroyed much of the information about Stephen that he judged to reflect negatively upon the family. Stephen Foster was born on July 4, 1826. His parents were William Barclay Foster and Eliza Clayland Tomlinson. He was the youngest of three sisters and six brothers. Foster attended private academies in Allegheny, Athens, and Towanda, Pennsylvania. He received an education in English grammar, diction, the classics, penmanship, Latin, Greek, and mathematics. Though they lived in a northern city, his family did not support the abolition of slavery. His older brother Morrison was a notable influence throughout Stephen's life. Foster was able to teach himself to play the clarinet, violin, guitar, flute and piano. He did not have formal instruction in composition but he was helped by Henry Kleber (1816–97), a German-born music dealer in Pittsburgh. Kleber was a songwriter, impresario, accompanist, and conductor. In 1839, his elder brother William was serving his apprenticeship as an engineer at Towanda and thought Stephen would benefit from being under his supervision. The site of the Camptown Races is 30 miles (48 km) from Athens, PA, and 15 miles from Towanda. Stephen attended Athens Academy from 1839 to 1841. He wrote his first composition, "Tioga Waltz" while attending Athens Academy and performed it during the 1841 commencement exercises; he was 14. It was not published during the composer's lifetime, but it is included in the collection of published works by Morrison Foster. Foster's education included a brief period at Jefferson College in Washington, Pennsylvania, (now Washington & Jefferson College). [nb 1] His tuition was paid, but he had little spending money. He left Canonsburg to visit Pittsburgh with another student and did not return. During his teenage years, Foster was influenced by two men. Henry Kleber (1816–1897), one of Foster's few formal music instructors, was a classically trained musician who emigrated from Darmstadt, Germany, to Pittsburgh and opened a music store. Dan Rice was an entertainer, a clown, and blackface singer, making his living in traveling circuses. In 1846, Foster moved to Cincinnati, Ohio, and became a bookkeeper with his brother's steamship company. While he was in Cincinnati, Foster penned his first successful songs in 1848–1849, among them "Oh! Susanna", which became an anthem of the California Gold Rush. In 1849, he published Foster's Ethiopian Melodies, which included the successful song "Nelly Was a Lady" as made famous by the Christy Minstrels. A plaque marks the site of Foster's residence in Cincinnati, where the Guilford School building is now located. Then he returned to Pennsylvania and signed a contract with the Christy Minstrels. It was during this period that Foster would write most of his best-known songs: "Camptown Races" (1850), "Nelly Bly" (1850), "Ring de Banjo" (1851), "Old Folks at Home" (known also as "Swanee River", 1851), "My Old Kentucky Home" (1853), "Old Dog Tray" (1853), and "Jeanie with the Light Brown Hair" (1854), written for his wife Jane Denny McDowell. Many of Foster's songs were of the blackface minstrel show tradition popular at the time. Foster sought, in his own words, to "build up taste ... among refined people by making words suitable to their taste, instead of the trashy and really offensive words which belong to some songs of that order". Many of his songs had Southern themes, yet Foster never lived in the South and visited it only once in 1852, by riverboat voyage on his honeymoon on his brother Dunning's steamboat the Millinger,, which took him down the Mississippi River to New Orleans. In 1862 during the Civil War in a response to Abraham Lincoln's call for volunteers, Foster among other composers set the poem "We Are Coming, Father Abra'am" to music. Foster's last four years were spent in New York City. Biographical information during this period of his life has not been located or remains lost, though correspondence to, from, and between other family members has been preserved. Foster became ill with a fever in January 1864. Weakened, he fell in his hotel in the Bowery, cutting his neck. His writing partner George Cooper found him still alive, naked, lying in a pool of blood. Foster died in Bellevue Hospital three days later at the age of 37. Other versions exist concerning Foster's death described by other biographers. When Foster died, his leather wallet contained a scrap of paper that simply said, "Dear friends and gentle hearts", along with 38 cents in Civil War scrip and three U.S. pennies. The note is said to have inspired Bob Hilliard's lyric for "Dear Hearts and Gentle People" (1949). Foster was buried in the Allegheny Cemetery in Pittsburgh. After his death, Morrison Foster became his "literary executor". As such, he answered requests for copies of manuscripts, autographs, and biographical information. One of the best-loved of his works, ""Beautiful Dreamer" was published shortly after his death.